The NewStar adapter, model: FPMA-VESAMAC2127, provides you with an Apple iMac screen with a VESA hole pattern. By using a VESA pattern you an iMac to a NewStar desk or wall mount bracket. The Mac adapter has the VESA hole pattern: 75x75 and 100x100. 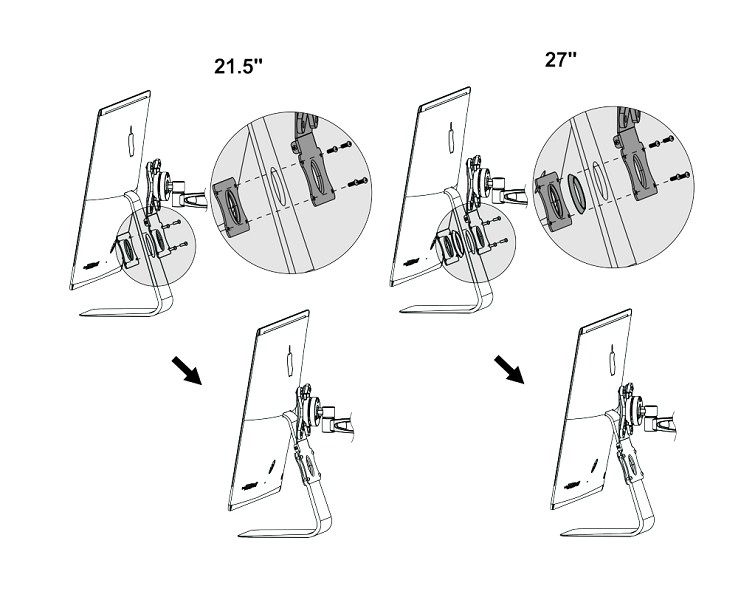 The adapter is compatible with 21.5" to 27" screens. How does it work? 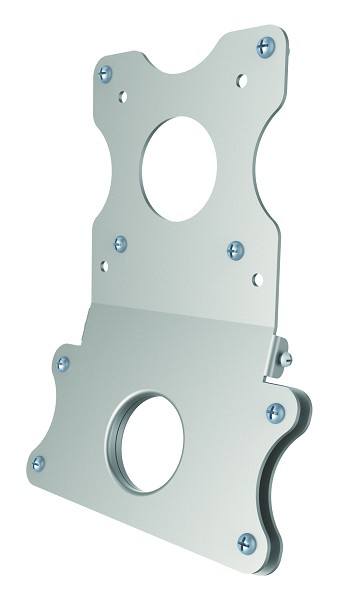 Install this bracket to the existing iMac foot. Mount the adapter to any NewStar wall- or desk mount. This adapter offers a VESA hole pattern 75x75 and 100x100. Any mount with VESA75 or VESA100 can be combined with it. Look on our website for your desired support. This adapter is made of durable high quality metal. All installation material is included with the product.